Ch-ch-ch-changes! Nothing stays the same—people, places, and manga characters, included. Let's see how the likes of One Piece have evolved over the years. The appearance of characters changing is not new, nor is it unique to One Piece. Previously, Kotaku showed how an array of manga characters had evolved over the years. Now, via Japanese web forum 2ch, we're zeroing in on the incredibly popular One Piece. Some of the characters have changed significantly. Some haven't. Have a look for yourself. 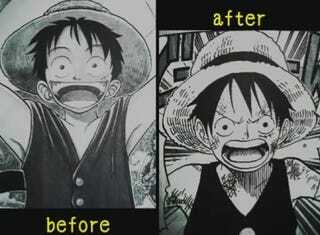 If anything, I'd say One Piece creator Eiichiro Oda has simply perfected how he draws his characters. Well, do you prefer to the "before" or "after" versions?